Spring is just around the corner so it is the perfect time to start thinking ‘convertible’. Jaguar Colorado Springs has an impressive convertible that is perfect for you. 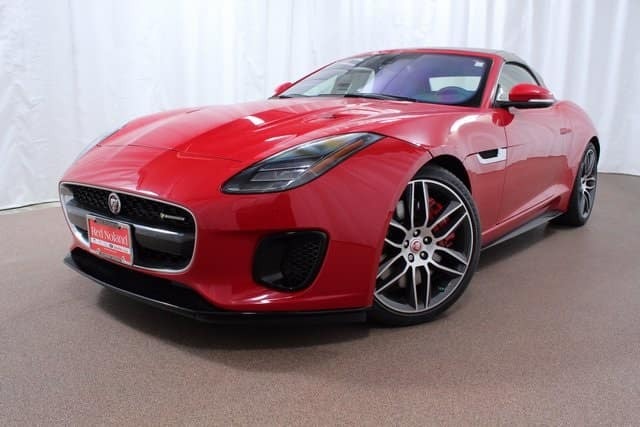 This 2018 Jaguar F-TYPE R-Dynamic is gorgeous! It is sleek and powerful which is what you expect from a Jaguar sports car. When you drive this beauty you will enjoy effortless performance mixed with agile handling. The refined and refreshed interior focuses on comfort. That includes the comfortable performance seats which are heated and cooled. The heated steering wheel is a welcome addition on a cold Colorado day. Other exciting features include the integrated navigation system, fully electric convertible roof, and full premium leather interior package. The all-wheel drive gives you the capability you need for a variety of road conditions. Visit Jaguar Colorado Springs today to see this gorgeous sports convertible today. Let our Jaguar experts tell you all about the 2018 Jaguar F-TYPE and its many exciting features.